Brendan Donovan Furniture & Cabinet Co. has been a local manufacturer of fine custom cabinetry for over twenty years. We are currently located in a 5000 square foot plus facility in the North Palm Beach area. We invite you to review our products here in our design studio where you can also take a peek behind the scenes at our custom shop. We offer a diverse number of options for your cabinetry needs. 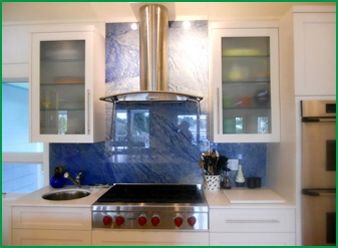 Select manufactured cabinet lines are also available from American-made Holiday Kitchens and R.D.Henry&Co. We specialize in kitchens, baths, bars, built-ins, closets and one-of-a-kind custom furniture. Whatever your cabinet needs, we have a solution. 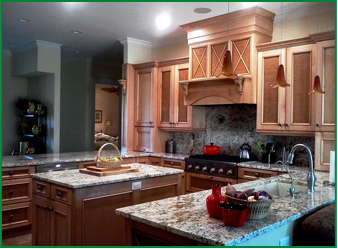 Brendan has been crafting custom cabinetry in the South Florida area for over 20 years. Originally from Kearny NJ, Brendan is a second generation Irish craftsman who’s roots reach back to County Cork, Ireland. Over the years, Brendan has learned that the value of his work lies in superior execution of detail. In fact, our brand is Value in Detail. That stands for value in customer service, product, design, construction and installation, always thinking, how can we make it better? Trevor has been a part of the Brendan Donovan team for over 10 years. He apprenticed in his native County Cork, Ireland. Trevor acts as shop foreman and continues his responsibilities in the field by heading up our installations. Formerly of Masters Kitchen Gallery, Gloria has been collaborating with Brendan & Co. as a designer for over 20 years. Gloria is a kitchen and bath cabinetry designer with AKBD certification from the National Kitchen & Bath Association (NKBA). She has also served on the Board of Directors as VP of Communications for their South Florida and Treasure Coast Chapters. Her work has appeared on This Old House as well as Florida Design Magazine and the Palm Beach Post. She is co-author of The Complete Idiots Guide to Remodeling Your Kitchen, Illustrated as well as a free-lanced writer contributing occasionally to the Sun Sentinel in the area of kitchen design. Gloria is a member of the Blanco Design Council and is on the Advisory Board of Kitchen & Bath Business Magazine. Her website is ArtfulKitchens.net. Last but not least, the support of Linda Moore as office manager, book keeper, estimator and scheduler with 10+ years in the custom cabinet industry keeps it all running smoothly.